This is my second computer build, which was completed in the summer of 2018. The purpose of this computer is mainly gaming, 3D modeling, a ton of college work, and to be overkill... The college work consist of "normal" engineering homework to more advance simulations and of course the aforementioned 3D modeling. At the time of building this computer, it cost roughly $2600. A full price breakdown, along with a total, can be found in the images above. I am sure if anyone is looking at this in the near future, most of the prices will be nonexistent on the part list due to parts being replaced by their predecessors. I have not settled on an overclock for my CPU yet, but I have mess around with it quite a bit. I do not think I will be leaving my CPU on a permanent overclock due to the heat it generates. In my previous build I had a FX-8370 CPU paired with a Gigabyte - Radeon R9 390X 8 GB SOC GPU (The Atomic Pillar) and that combo would literally raise my bedroom temperature 10°F to 15°F, and I do not want to go back to that. If I do settle on a permanent overclock, my goal will be to have the CPU's clock rate between 4.15 GHz and 4.20 GHz. The maximum temperature I hit on my CPU under stock-clock is 58°C with an ambient room temperature of 24°C, so there is a decent amount of headroom when it comes to temperatures, since the maximum temperature for the Ryzen 7 - 2700X is around 85°C. This maximum temperature of 58°C was reached after nine straight hours of running an AIDA64 Extreme CPU stress test. This stresses the CPU at 100% until the test is manually stopped or the CPU thermal throttles. The maximum temperature reached by the EVGA GeForce GTX 1080 Ti 11 GB SC2 was also achieved after running an AIDA64 stress test, but this stress test was only ran for one hour. The GPU stress test on AIDA64 works in the same manner as the CPU stress test. It utilizes 100% of the GPU for the duration of the stress test, or until the GPU thermal throttles. I have had absolutely zero issues with this build, and it performs exactly the way I expected. Leave your thoughts and any concerns you may have in the comment section below! The AMD Ryzen 7 - 2700X is by far the best AMD CPU I have ever own, coming from an FX-8350 and FX-8370 systems, flexing its, true, eight cores and sixteen threads, it has been more than capable to handle everything I put it through, this being extreme workloads, intensive gaming session, and me learning how to overclock. Speaking of overclocking, earlier in my CPU’s life I was able to hit a stable 4.15 GHz overclock at 1.390 volts, but I stop there for the following reason. While it did score much higher in Cinebench than the stock frequency, the performance increase in game was small. At the stock clock frequency, my CPU runs at a consistent 4.0 GHz and will go as high as 4.5 GHz when under a load. Now, I will admit that Intel would've been a better choice for gaming, but my setup doubles as a workstation so I regret nothing. Not only that, but it is a huge improvement over the AMD FX-8350 and FX-8370 I had in my previous build. Beautiful motherboard, and in my opinion the best Mini ITX option out there for the X470 chipset. I do have two things that do somewhat bother me however. Firstly, the HD audio plug is placed in a very awkward location on the motherboard, just above the M.2 heatsink. Which makes it difficult to maintain a clean look inside whatever case you may be using. I was able to hide my HD audio wire fairly well under my AIO CPU mounting bracket, but that may not be the case for everyone. Secondly, there are two SATA ports located between the M.2 heatsink and the RAM DIMM slots. I do not use these two SATA ports, but for anyone that would, I believe this would cause the same wiring problems as the previously stated concern. ASUS is by far the best motherboard company on the market, I highly recommend any motherboard you maybe looking at purchasing! Colorful and very easy to control using the ASUS Aura Sync software provided with my motherboard. 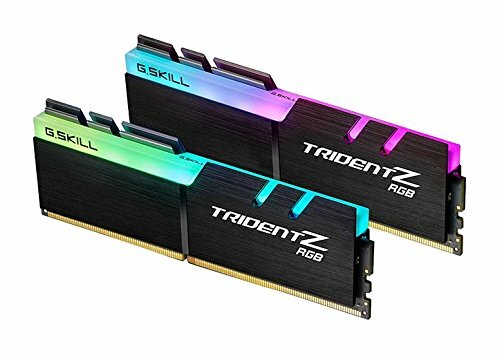 Also, for you AMD Ryzen builders out there, I had zero issues getting this RAM to run at the advertised frequency, even a little above, and CAS despite not being on my motherboard’s approved list of RAM. These are also made specifically for Intel I believe, but like I said, not issues what so ever. I wanted this build to be as quick as possible, so I decided why not get one of the fastest storage options out there. My new build boots from a cold start just as fast as my previous build would awaken from a sleep despite having a Samsung 860 EVO SATA 128GB SSD as its boot drive. I partnered this Samsung 970 EVO M.2 250GB SSD with a Samsung 860 EVO SATA 2TB SSD, which I use as my main storage. 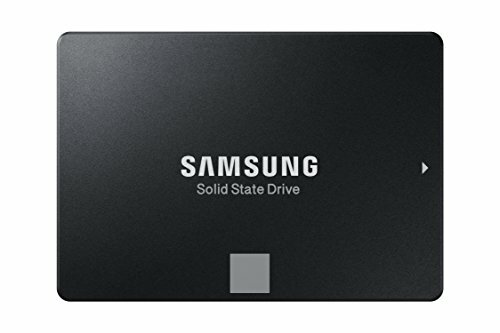 Samsung is my first and only choice when it comes to SSDs, I have yet to have an issue with any of their products. Awesome GPU that has handled everything I have thrown at it with incredible speed and most importantly high FPS. The only reason I took a star off is that, this card is not meant to be overclocked. It not only has slightly worse cooling than that of its FTW3 counterpart, but also less power. This makes it a little more difficult to overclock, but at the time the price was impossible to beat for a GTX 1080 Ti. In terms of Mini ITX form factor cases, this is by far the best I have seen aesthetics wise. It much smaller than any of the previous cases I have built in, but still maintains that sought after gaming PC look. The cable management was a breeze despite my lack of experience with running computer cables in an efficient and visually pleasing manner. The only complaint I can see someone having is that this case is a little big for a “true” Mini ITX build, but it was perfect for me. It is EVGA so the quality as always is good, comes with a nice storage bag for unused cables, and at the time it was cheaper than any other gold rated PSU on the market. The fans look amazing, are easy to clean, and push air extremely well. With that being said, they do not match with the two other fans I got with my Enermax - Liqfusion liquid CPU cooler. The LED colors do not sync up to exactly the same cooler and the RGB patterns are far different from one another. I usually have my computer set one cooler, but anyone who wanted to have RGB vomit would be disappointed. Cables worked right out of the box, I got mine for an EVGA 850 G2, and they look great with my build. The 24-pin layout for this cable kit is different than the cables that are included with my EVGA power supply, but it caused no issues. The cable kit comes in quite a large box with each type of cable individually packaged, which made for quite an impressive unboxing experience considering the contents just being cables. The cable combs included with this kit are rather flexible. like a pliable rubber rather than hard plastic, but they were included for free so no real complaints there. Haha. Yeah, my first build had a Western Digital - BLACK SERIES 2TB 3.5" 7200RPM Internal Hard Drive for my main storage and a Samsung - 850 EVO-Series 120GB 2.5" Solid State Drive for my OS. So I didn't want to decrease the amount of space I had, but I wanted to have all SSDs this go around. Hey long time no see That1WhiteFoST, since the time you posted your FX build! I see you ditched the idea of a SSHD and got a 2TB SSD instead for your game drive. Really nice looking build and super clean cables, for sure a huge step up from your older PC in both power and aesthetics. Those are some nice looking fans too and should light up the case enough without the need of a seperate LED strip. Definitely a +1 from me on this build. Yeah! I figured why not just go all and go with just SSDs. And yeah the fans do a really good job at lighting the entire case up for sure. Very nice and clean built, good choice of components! How did you connect the rgb? And I connected the Enermax T.B. RGB 120 mm fans that are located in the rear and top of the case using the ENERMAX RGB control box the fans come with. This control box plugs into the RGB 4-pin header on the Asus ROG STRIX X470-I GAMING Mini ITX motherboard. The Enermax - Liqfusion Liquid CPU Cooler comes with a three-way splitter for the two RGB connectors for the fans and the one RGB connector for the flow-meter. This three-way splitter is then connected into the motherboard's addressable RGB header. The RAM just plugs into the DIMM slots like normal. I use the Aura Sync software developed by Asus to sync all the RGB together. Aha, I see. Thanks for the details! Nice build! Can I ask what your GPU temp is? I notice you are using an ATX psu, does that choke the GPU fans? Thank you! And under "normal" gaming conditions I have yet to see anything over 64.0° C, but under a stress test it has gotten up to 68.0° C.
I don't think the PSU chokes anything up due to me have the bottom fan of my 240 mm rad blowing air under my GPU and the fact I have two exhaust fans pulling air out. Without those, especially the fan from my rad, I think the GPU would get much hotter. Good to know! Thanks! I was thinking of building in this case but have been on the fence for a while, now that I can go ahead with it. No problem! And yeah, I honestly think this is in the top five when it comes to best Mini ITX cases on the market. And yeah, I have a white 2016 Focus ST2. When you say the fans are different from the CPU Cooler fans,, what do you mean by that? Because I am planning to get that same CPU Cooler and fans too.